While smoker’s cough is your lungs’ unmistakable way of letting you know they’re in trouble, your veins send a more subtle signal of their damage from cigarette smoke. And it’s best to listen — smoking kills about as many people through damage to the heart and blood vessels as it does to the lungs. The first sign of damage to your arteries is often missed or chalked up to aging, says Carlos Neves, MD, medical director at Beebe Vascular. 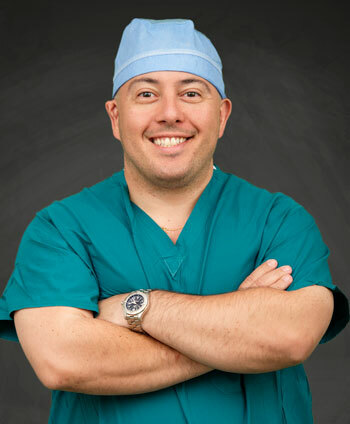 He’s a vascular surgeon, meaning he uses minimally invasive procedures and surgery to treat diseases of the blood vessels. At first, people with artery disease have cramps or pain when they’re walking, especially when they’re moving uphill. Many of Dr. Neves’ patients attribute this pain to getting older or being out of shape, but often it’s caused by the buildup of fatty plaque inside arteries. This lowers blood flow to the legs, which at first can cause pain while climbing stairs but eventually can get worse. Smoking isn’t the only cause of this problem — which is called peripheral artery disease because it happens on the periphery, or outer edges, of your body — but smoking is like “throwing fuel on the fire,” Dr. Neves said. Though the condition can be subtle, it can be a wake-up call for a life-threatening heart attack, stroke or aneurysm, which means an artery with weakened walls. That’s because when plaque builds up on the arteries of the legs, it’s more likely to be in the arteries that lead to your heart and brain, too. Losing blood flow to the legs can be painful, but losing it to the heart can be deadly. Dr. Neves said smoking’s many effects on our veins can lead to serious consequences, but they usually don’t happen without warning. And quitting is your best way to lower these risks. Smoking limits blood flow through your arteries and veins in two main ways. First, nicotine, the most addictive chemical in cigarettes, causes your blood vessels to get more narrow. This both limits the amount of blood they can carry and, over time, causes them to lose their flexibility and become more stiff. That makes the heart work harder, leading to higher blood pressure. The second way smoking harms your veins has to do with the fatty, artery-clogging plaque. Most of us associate this plaque with the food we eat, and that’s true in smokers, too. But the chemicals in cigarette smoke can weaken the layer of cells on the inside of blood vessels, making it easier for plaque to stick to them. Eating healthy food is no defense against the buildup of artery plaque for smokers, Dr. Neves said, but the combination of an unhealthy diet and smoking is much worse. This buildup of plaque is often first felt in the legs, which can hurt, especially while you’re walking. “The more you walk, the more your body demands blood flow, and when it doesn’t get enough it can result in pain,” Dr. Neves said. Though some people attribute it to muscle spasms or routine cramps, leg pain with movement by itself should be investigated as a possible warning sign. “A lot of times, that pain doesn’t get worse, especially for people who quit smoking,” Dr. Neves says. Feeling a heavy chest while walking up stairs is another sign. One basic question doctors sometimes ask is how many flights of stairs you can climb before you feel pain. If it’s only one, your problem may be more than being out of shape. Slow-healing wounds: Cuts and other injuries need oxygen to heal. Narrowed arteries can make it hard for oxygen to make it to the site of the injury. Toe discoloration: If blood isn’t reaching the toes easily, they may start to lose some of their color. Leg hair falling out: Hair follicles need blood flow, and when they don’t get it, the hair falls out. Especially when it happens below the knees, hair loss is one warning sign of artery problems. Eventually, an artery may become fully blocked, preventing vital oxygen from reaching the heart and causing a heart attack. When this happens in the brain, it’s called a stroke. They’re not the only risks of smoking though. Because the chemicals in cigarettes can weaken arteries, they can also lead to aneurysms, which are basically ballooned-out arteries. “And balloons tend to pop,” Dr. Neves says. A burst artery is a life-threatening emergency. Anyone who has smoked at least 100 cigarettes in their lifetime is recommended to get a test to see if their major arteries have swelled up. Surgery to repair an aneurysm is much easier before it bursts. It’s like the difference between filling your tires up with air at a gas station or dealing with a blowout on the highway. Overall, smokers have roughly four times the risk of serious plaque buildup, called coronary artery disease, as nonsmokers do. But quitting smoking can slow down the buildup of plaque in your arteries, reducing your risk of heart attack, stroke and aneurysm. Talking to your doctor about quitting smoking is also a great opportunity to take extra steps to improve your heart health. One of the most effective treatments for plaque buildup in the legs is also the most simple — walking. Beebe Healthcare has a supervised exercise program to help people get moving in a simple, hassle-free way. Taking medication like aspirin and cholesterol-lowering statins may also be an opportunity. Learn more about Beebe Vasular. Quitting smoking is the single best step you can take to live a longer, fuller life. Beebe Healthcare’s counselors know the latest science around helping you quit, and can offer the combination of medication and counseling that has the best chance of helping you succeed. For more information, visit our website or call (302) 645-3030 to make an appointment with a smoking cessation counselor today.